The masked gunmen who assaulted the Charlie Hebdo offices in a hail of automatic gunfire, leaving twelve people dead in their wake, were heard proclaiming, “we have avenged the Prophet Muhammad.” Amateur footage also revealed the killers invoking God with the Arabic phrase, “Allahu Akbar”—an otherwise-innocuous, everyday religious utterance, but one that is frequently usurped as the jihadists’ battle cry, in pointed attempts to consecrate their brutal violence. What should we make of the killers’ sanctimonious declarations that they were in fact acting in defense of their holy figure—a reference to the magazine’s irreverent and controversial depictions of the Muslim prophet? How might we reconcile their claim that they were exacting vengeance on behalf of all Muslims for these apparent affronts, when at least two of their victims were also Muslims? Both Ahmed Merabet, the police officer callously executed at point-blank range on the pavement outside the offices, and Mustapha Ourrad, Charlie Hebdo’s copy editor, shared the faith of their killers. Perhaps most importantly, how should we react to their self-righteous assertions to be the supreme moral arbiters of Muslim religious sensitivities and sanctities? 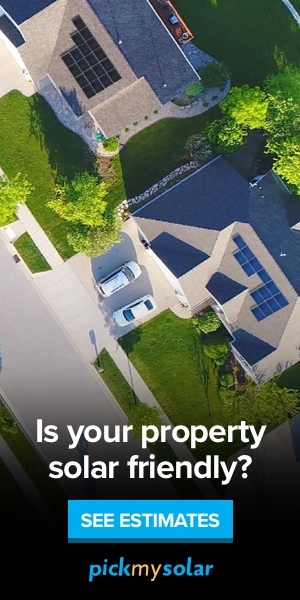 A good start would be to treat their self-aggrandizing claims with the ridicule that they deserve. One inescapable and glaring incongruity with the claims of these “religious avengers” is just how religiously illiterate the vast majority of these individuals actually are. This is particularly true of Western Muslims, who have been lured to fight for ISIS, or who have carried out attacks at home. Most are not particularly religious prior to their involvement with violence, being raised in largely secular households, with only a rudimentary grasp of their parental faith. Nevertheless, one of the stubborn enduring myths surrounding jihadist terrorism has been the preeminence of religion over other motivations, and it is easy to understand why this might be the case. Many of these individuals themselves employ starkly religious language, and invoke religious texts that promise “other-worldly” rewards as compensation for “this-worldly” sacrifice, including the guarantee of eternal Paradise, and most famously, the lascivious offering of seventy-two heavenly virgins. But, crucially, in many of these instances, we have to be aware of the post-hoc attribution of religious meaning and validation to their acts. To put it differently, religion does not provide the initial motive, but it does provide the motif or stamp of approval. Take the example of a young man who wants to go to Syria to fight for any reason that is not explicitly religious. It is not enough to just fight and even die like a jihadi, but to be accepted by that community (and indeed not to end up beheaded as a member of a rival group), you need to walk, talk and behave like one of them, too. The highly stylized “martyrdom testaments” suicide bombers record prior to their deaths are a very good example of this sort of conformity—it is no accident they all look and sound pretty much the same. One recent telling example of this sort of religiosity tacked on at the end is the case of Mohammed Ahmed and Yusuf Sarwar, two young British men from Birmingham who were jailed for travelling to Syria to join and fight alongside a jihadist group in 2013, in response to what they saw as their religious duty. But it was the reading material they purchased to accompany them on their trip, the books, Islam for Dummies and The Koran for Dummies, which are most revealing about their lack of religious literacy and motivation. Now, this is not to exonerate religion in any sense. Religion has historically been responsible for a great deal of violence, and religious texts and doctrines often appear to condone death and destruction. However, unlike believers, academics tend to understand religion as a product of social, economic, political and other factors that offer solutions to something. So what does religion offer a solution to, in the case of Europe’s jihadists? Cherif Kouachi’s lawyer described his client in 2005 as “a confused chameleon.” This is an apt description of the identity crisis commonly experienced by many jihadists, and can be explained through a process I call dual cultural alterity—essentially a double alienation from both minority (ethnic or parental) culture, and majority (mainstream or host society) culture, as a result of being unable or unwilling to fulfill either group’s normative expectations. This can lead to the cultural schizophrenia that Cherif’s lawyer describes, and is likely to inspire feelings of uprootedness and a lack of belonging. Consequently, in the absence of an appealing cultural paradigm from either parents or mainstream society, religion becomes, by default, the principal anchor of identity. Religion provides an emphatic rejoinder to the identity offered by Western society, which these individuals feel has already rejected them anyway, and it is easy to understand why. In France, Charlie Hebdo’s cartoons reflected a broader palpable rise in anti-Muslim and anti-immigration sentiment. Leaving aside the lampooning of religious figures, many cartoons depicted ordinary French Muslims and other minority groups in a way that was at best, tasteless, and at worst, revelatory of an underlying French racism that is implicitly tolerated. 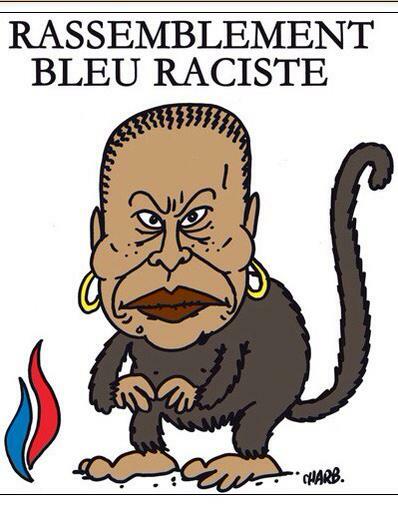 The magazine once depicted French justice minister Christiane Taubira, who is black, as a monkey (although later claiming it was mocking her detractors). 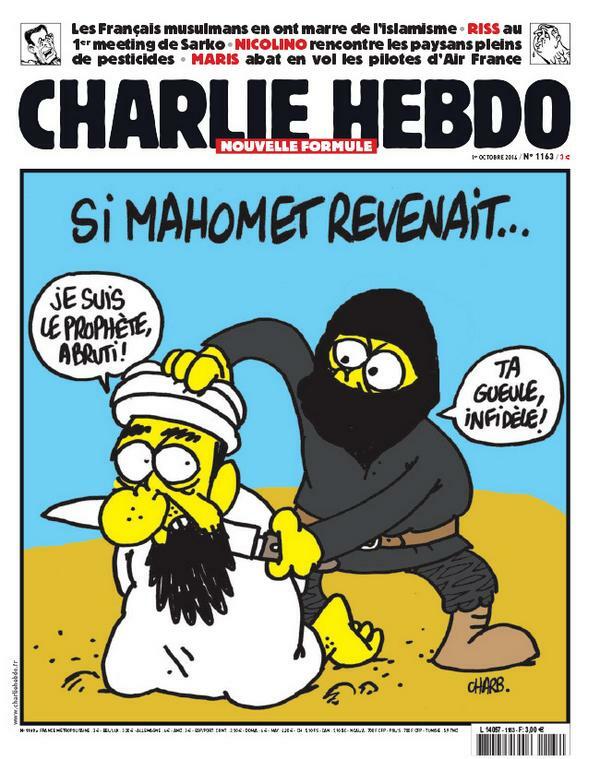 Charlie Hebdo’s most recent cover displays a cartoon of France’s most famous living author, Michel Houellebecq, with the phrase: “The predictions of fortune-teller Houellebecq—in 2022, I fast for Ramadan.” The cartoon referenced Houellebecq’s controversial new book, Soumission (Submission), which, in classic fear-mongering tropes, depicts a future Islamized France, in which women are compelled to wear the veil, men practice polygamy and the Quran is taught in universities. This ominous fear of Islam, the immigrant, or the other, is what leads to, amongst other things, the desecration of gravestones of French Muslim World War II veterans; sartorial restrictions on Muslim women’s dress; and most significantly, help spur the far-right National Front party to victory in the European Parliament last year. In this context, it is not difficult to see how, for many French Muslims feeling under siege and alienated in their own country, a beckoning religious identity might appear more appealing than a tainted national one. But the new religious identity also offers something else—it allows religion to be interpreted anew, as a distinct fundamentalist brand of Islam (such as Salafism or Wahhabism), free from the cultural baggage attached with their parental or ethnic identity. These sorts of confused and melodramatic crises of identity and belonging can prove incredibly useful for jihadist recruiters, as they can easily be co-opted by and yoked to the jihadists’ utopian narrative of a global fraternity or community of believers—the Ummah—which does not recognize color, race or nationality, and claims to be equally besieged from all sides. It is this radical interpretation of the religious community of believers, then, that becomes the sole locus of identity and belonging. Those who buy into it should be thought of as the “born again” variety of believer. They have much in common with religious converts found in all faiths. Indeed, it is no accident that Islamic converts are disproportionately represented among jihadists. Recent terrorist attacks carried out in Ottawa, Quebec and New York were the work of recent converts to Islam, as was the hostage crisis in the kosher supermarket in Paris that played out alongside the siege that led to the death of the Kouachi brothers. With little previous religious socialization, no effective spiritual counterweight in their immediate circle and a desperate desire to prove their religious credentials, the “born again” variety are far more likely to accept totalitarian visions of Islam, with a proverbial zeal of the converted. The other major solution that this particular form of religiosity offers is in providing meaning and purpose in the lives of those who desperately lack it. Life in French banlieues for many French Muslims is a heady mix of unemployment, crime, drugs, institutional racism and endemic cycles of poverty and disenfranchisement. It is in these scenarios that jihadism potentially offers a rejection of, and escape from, the banal and inane drudgery of daily life, or a criminal past. Ironically, the religious illiteracy of these “religious warriors,” and shrewd employment of Islam for power and politics is perhaps best summed up by a brilliantly insightful Charlie Hebdo cartoon published last October captioned, “If Muhammad returned…”. Religion is important to these murderers. But only because, for many, it serves as the most emphatic critique of the failed promise of the French Republic, enshrined in her motto: “Liberty, Equality and Fraternity” for all. Reprinted from The National Interest with the author’s permission. Akil N. Awan is Assistant Professor in Modern History, Political Violence and Terrorism at Royal Holloway, University of London. His research interests are focused around the history of terrorism, radicalization, social movements, protest, and new media. In addition, he is also Research Associate with the New Political Communication Unit, with the Centre for Public History, and the Centre for Minority Studies. Dr. Awan is regularly consulted by government bodies, think-tanks, media and other organizations in his fields of expertise, and has served in an advisory capacity to the UK Home Office, the Foreign Office, the US State Department, and the US Military amongst others. Most recently, he served as special advisor on Radicalization to the UK Parliament, and as academic expert on Genocide to the UK House of Lords delegation to Srebrenica. Follow him on Twitter:@Akil_N_Awan.